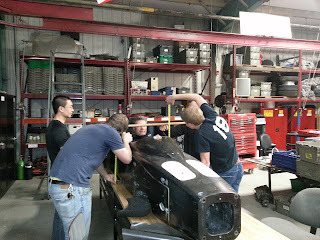 As the chassis rapidly approaches finalization the team ran a study on driver vision. Knowing where his eyes sit and the dimensions of the chassis, the point in front of the vehicle at which the ground becomes visible was calculated. Knowing this the team is able to specify the windshield geometry in the body design.